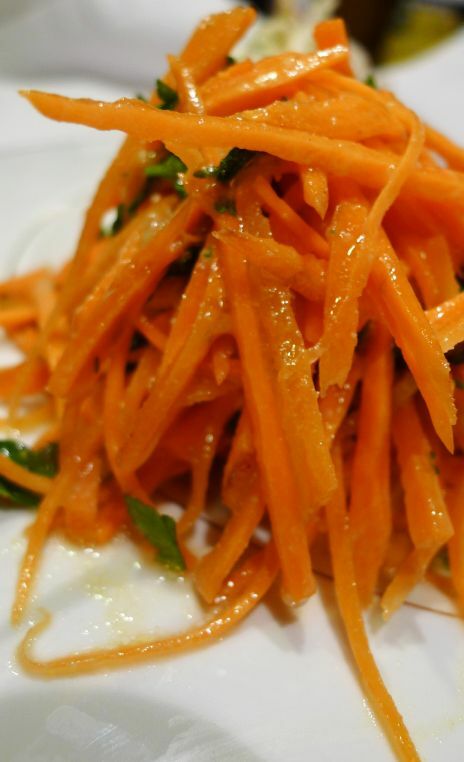 Salade de carottes râpées (grated carrot salad) is a very simple salad to make and there are only two ingredients: carrots and Italian parsley. This dish barely cost anything but trust me it is big in flavor. 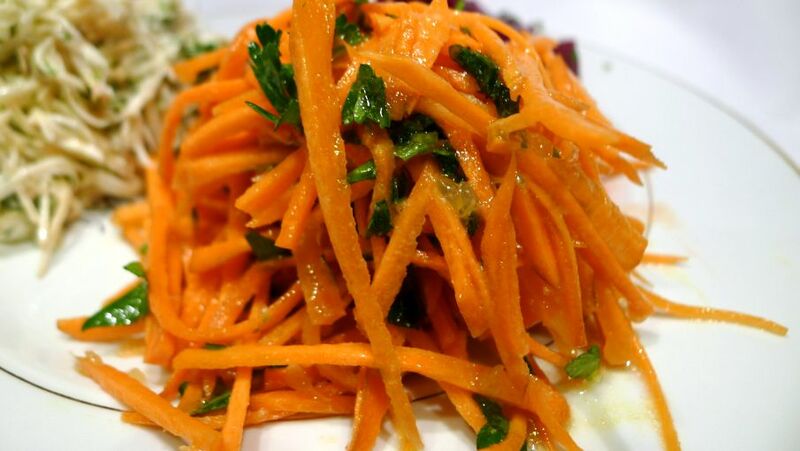 The traditional way to make this salad is to grate the carrots. 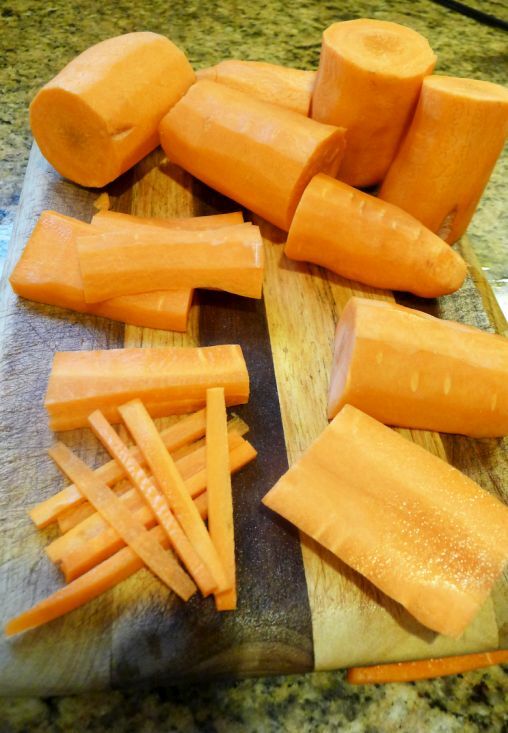 I like to have a little crunch when I bite into the carrots so I cut the carrots into julienne instead. 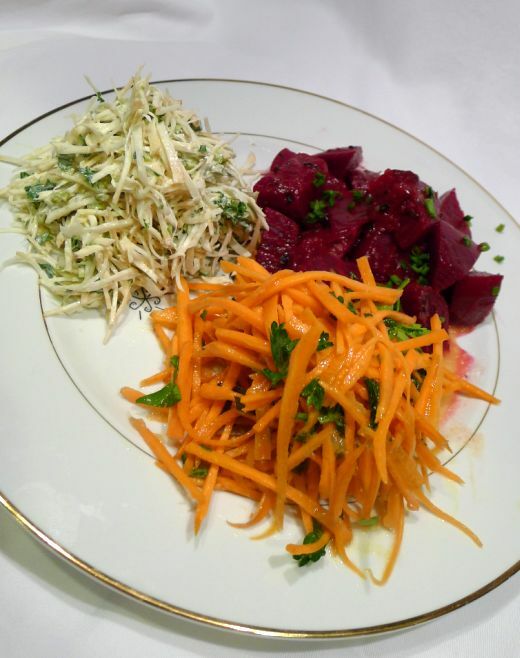 In France the dressing for this salad is very simple. 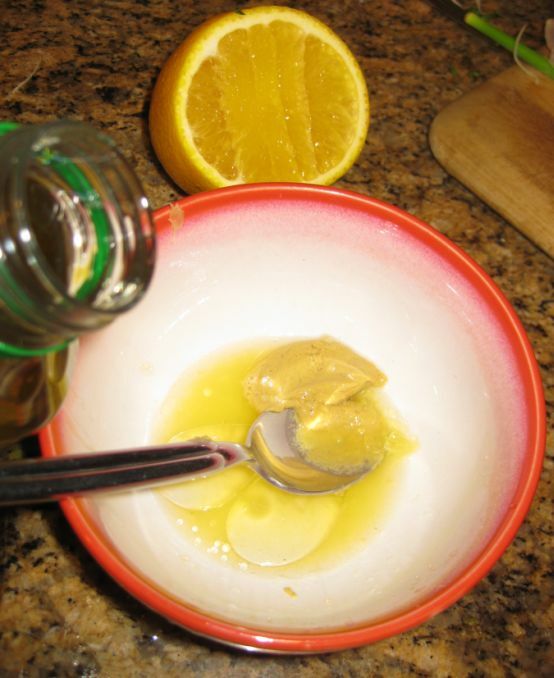 It is just a combination of Lemon juice, olive oil, a bit of sugar, salt and freshly ground pepper. Mine dressing is a bit different! 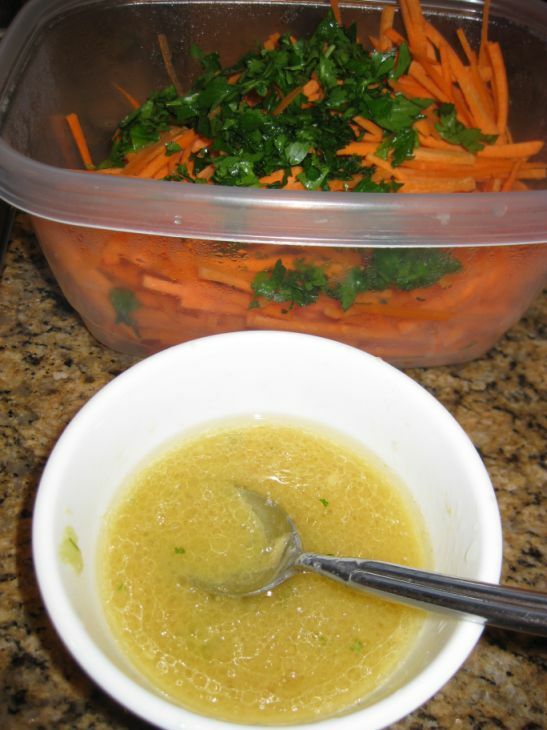 I use orange juice instead of lemon, and added a bit of Dijon mustard to the dressing. 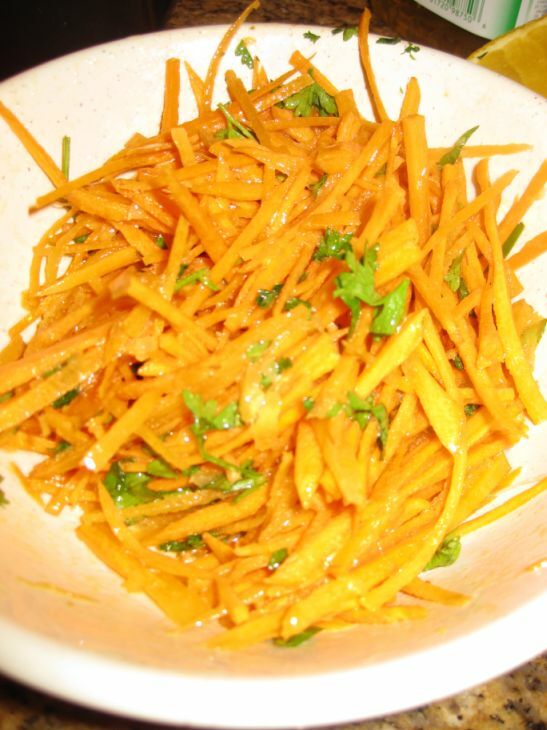 The orange juice flavor are really nice and fresh when you eat the salad. 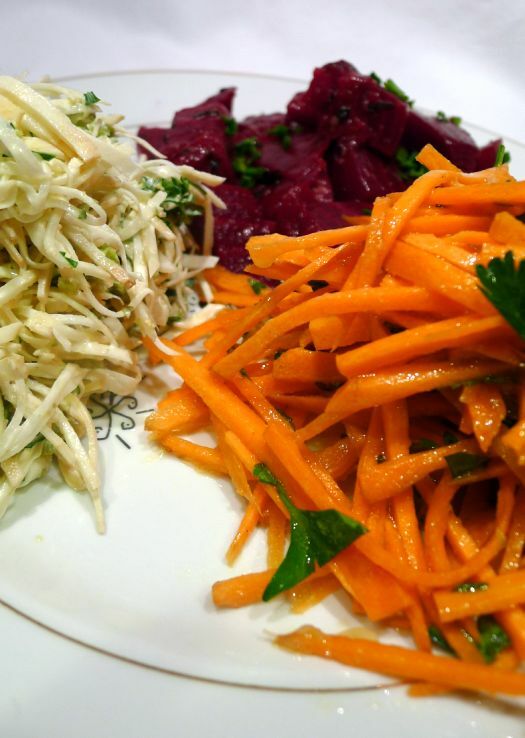 I had friends over and served the Salade de carottes râpées together with roasted beets, and Céleriac rémoulade. 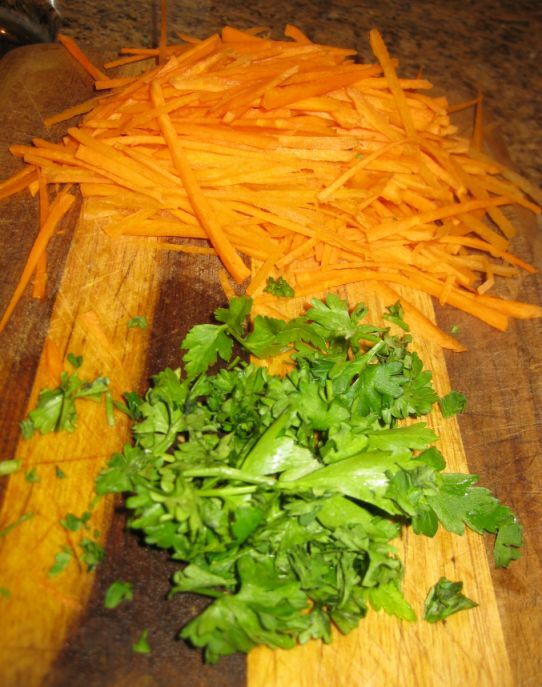 Chop the parsley coarsely. You want to see part of the leaves that are still vibrant and earthy! Prepare the vinaigrette. 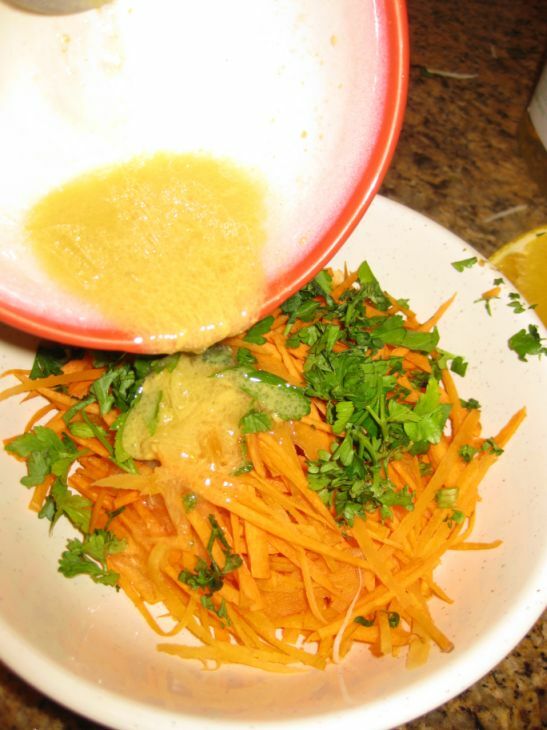 Mix the orange juice, oil, Dijon mustard, pepper and salt. Mix all the ingredients together. Taste it and add more orange juice, sugar or salt according to taste. 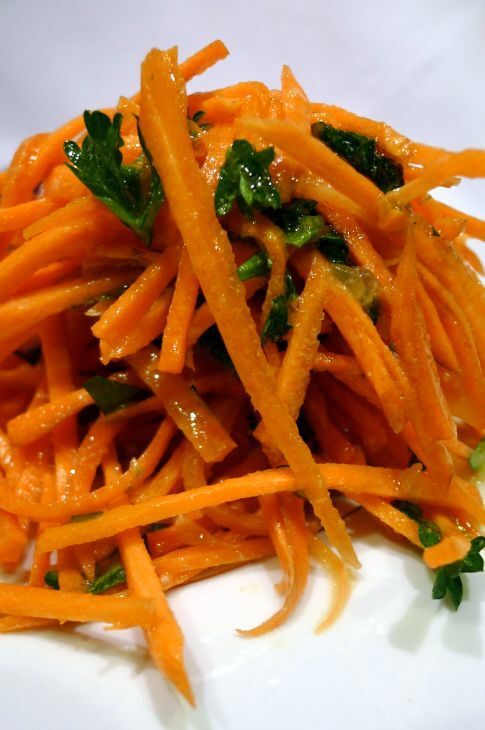 Pour the vinaigrette over the carrots. Mix it together and it is ready to be served.